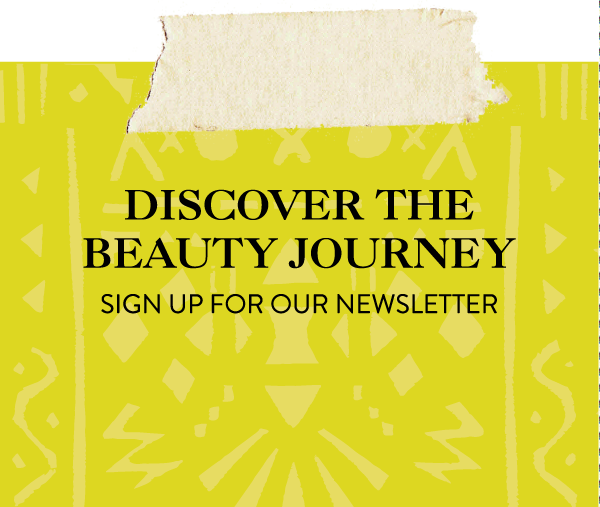 Hello, my fabulous beauty tribe! 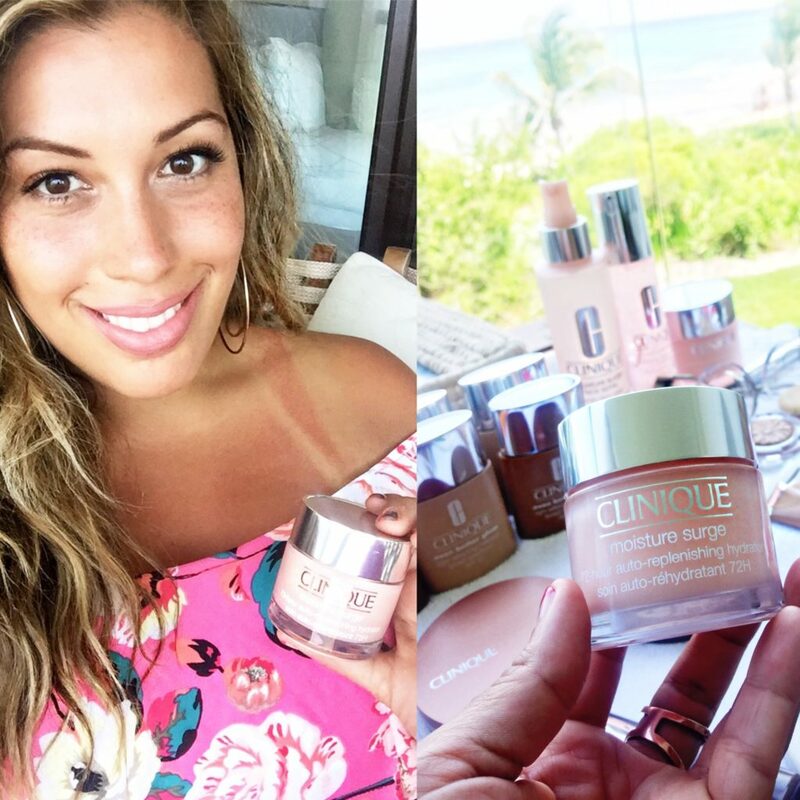 I just got back from a perfectly #pinkoasis getaway with Clinique in Mexico to celebrate their 72-Hour Moisture Surge Moisturizer. 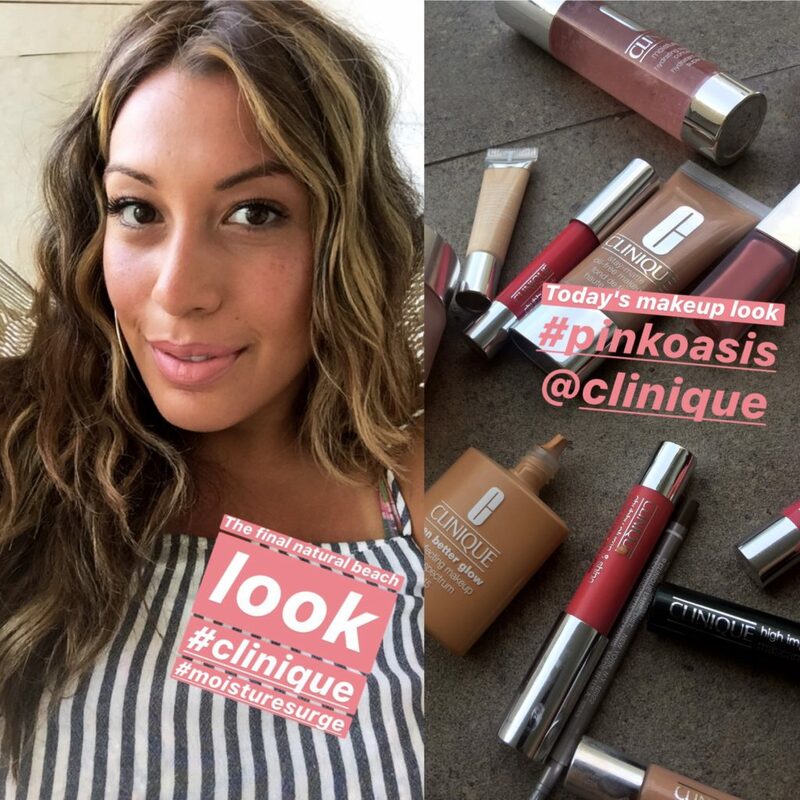 I had the honor of doing the makeup of some gorgeous ladies, and wanted to share with you some of my favorite tips for using Moisture Surge this summer. It’s seriously one of the most effective moisturizers out there, and it has been ahead of the hyaluronic acid trend for decades. Read my tips below and prepare for some serious hydration! 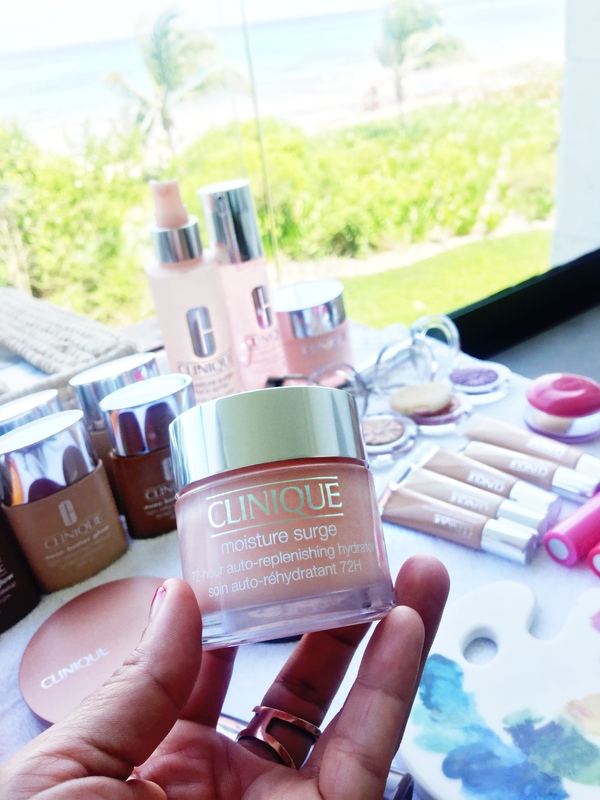 I love using Moisture Surge as a makeup primer because it keeps the skin super hydrated and makes the makeup look flawless. It has the most amazing rich gel texture, and totally hydrates the skin while absorbing quickly. Plus, because it keeps hydrating for 72 hours, you don’t get that tight, dry feeling you get with other primers after they’ve sat on the skin for a while. When it’s crazy hot in the summer, there is nothing – nothing – better than something cool and refreshing on your face. Keep your jar in the fridge this summer and treat yourself to an amazingly refreshing face massage every morning with your Moisture Surge. Plus, the cold temperature will tighten your pores and banish under eye bags. Moisture Surge makes an amazing lip treatment. We all love long-wearing matte liquid lipsticks in the summer, but they can be super drying. Take a Q-tip and dip it into your Moisture Surge. Apply to your lips, then flip over and use the other side to massage it in and lightly exfoliate. Your lips will be hydrated for 72-hours! Summer frizz is such a drag. There’s nothing more annoying that humidity causing flyaways and split ends to go crazy. If your hair products aren’t doing the trick, try taking a small amount of Moisture Surge, rubbing it between your hands, and lightly smoothing the flyaways away. It’s especially great for keeping baby hairs around your face to stay put – and it’s good for your skin! The dewy, glossy look has completely taken over the makeup world. With looks ranging from post-workout chic, to youthful glow, to “I just stepped out of the pool,” moisture is definitely in. To get this look, take a tiny amount of Moisture Surge and pat onto the tops of your cheekbones, above your eyebrows, on your cupid’s bow, and on your chin. The moisture will keep working for a full 72-hours but won’t mess with your makeup underneath. When looking effortless is part of the look. I love my job. 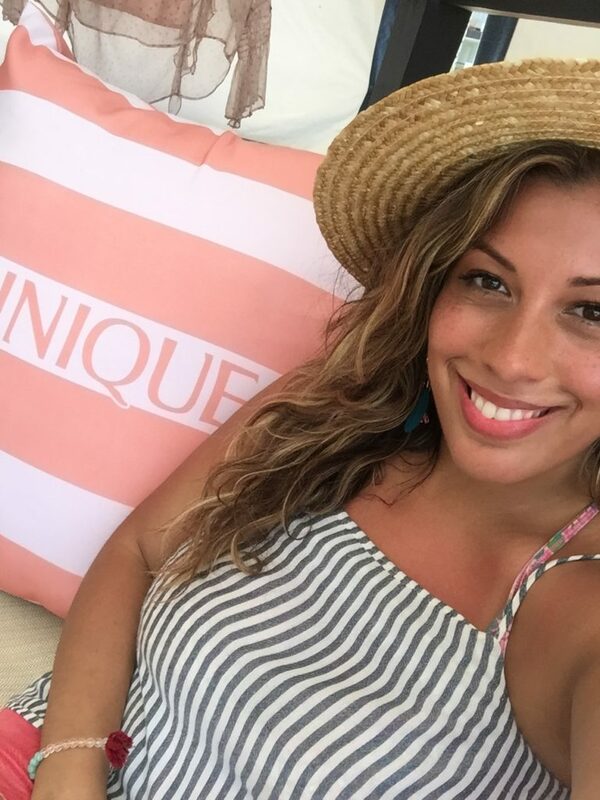 In relation to being down in Mexico, check out this fun mini documentary following our founder Stephanie Flor experiencing Dia de los Muertos during another trip to Mexico.